Apparently the Tiny Arcades (the one I bought with Ms Pac-Man) come with four games included in every unit (pacman, ms pacman, galaxian, space invaders), and you can do a small hack to make it play any of the four. I'm tempted to try it. But then again, I don't particularly want to play the other games. So I won't. Edit: As an update to my money wasting woes, I ended up getting this one. @Blitzenexx Never even saw a single episode of Breaking Bad, or its spin-off. And I'm pretty much of the same mind, where it concerns what I watch and when I watch it. I've got some wildly varying tastes, (even watched and/or followed some soaps at times), which go from sci-fi to horror to comedy to whatever genre, but never in the order and/or time scale that others are watching them. Someone sent a thermometer to [Counseling Center]/[Site Manager] via inter-office mail and she doesn’t know what it is for. Could whoever sent it please let her know what it is for? If it accidentally went in an envelope to her and should have gone somewhere else, can you please let her know that? .....Now, I'm sure that the reasonable person would think "Oh, that's a random occurance, and the question makes sense". But to anyone on this distribution list, and the Site Manager themselves, the first thought should be "Maybe I should ask my nurse staff if they requested a new thermometer, or my safety officer if got a replacement for the first aid kit". My thought, being all-too-familiar with the thought processes of some staff is simply "...is she confused because she doesn't know what a thermometer does?" @Delibheel I've never bought a Funko figure before, but yesterday my KH3 Mystery Box arrived, and I have to admit the giant Funko Pop Sora is incredibly awesome. @ThanosReXXX I figured, if I'm gonna pay for an overpriced piece of primitive technology, I might as well get one that actually works as a game. And it plays the song. @NEStalgia I've bought one Funko, but I do have a few I got as gifts. I wish I could get the Ian Malcolm (wounded) one, it's like the most random thing to make a funko out of, but at the same time it makes so much sense. I didn't know that Ian Malcom funko was a thing, but now I need it in my life! And the Tetris theme is always wonderful. Too bad it seems to be super hard to find. @Delibheel wait it's hard to find? I found one in EB Games (the Canadian equivalent to GameStop.) At regular price a few weeks ago just sitting out there. I didn't buy it because I don't collect those but I didn't realize it was rare or anything, so I just kinda passed it over. I couldn't find it in any Target this last vacation (the store it's supposedly exclusive to in the US). And the ones I could find online that ship to Mexico are resellers asking for way more money than it's worth. Maybe it's not an exclusive in Canada since Target doesn't exist here? And it'd probably be more common as a result. Then again he of EB Games now is just Funko figure so I'd image they'd have every one under the sun. They have a larger Funko section them for Nintendo stuff! I could really do with a direct about now:(. @ThanosReXXX: Oh, I definitely will go and see movies if asked. I have a rule that it can't have a previous movie that I haven't seen unless it has absolutely no bearing on the plot. I'm pretty good at keeping to this rule with all but the Marvel Cinematic Universe; I've seen a hodgepodge of them, and not necessarily in the proper order half the time. @Frosty_09 I finally got my DS online. Found an old router that works. Now I just need to buy Metroid. @Blitzenexx Oh dear, that's a definite no-no in my universe. Seen all the Marvel movies in the right order, and most of them soon as they hit the cinemas. @ThanosReXXX well, I do like Tetris too! 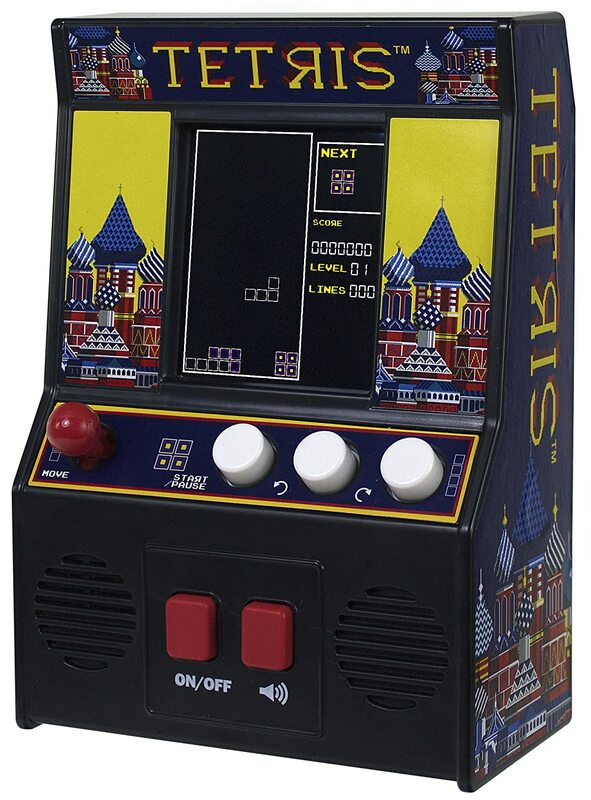 And I don't have any gimmicky Tetris merch either. Don't worry though, I still have the Pacman one in my wish list. If they release the color one, or it goes down in price, I'll get it too. @ReaderRagfihs Nice, I'll be looking forward to a match later on then. John Wick Chapter 3 is looking great. Liking the look of Mysterio, glad they went with the fish bowl.